PC and files scan for malware. Full security status reporting. Cloud-based information about new and emerging threats. Protection against new, emerging and unknown malware. Roll back harmful activity for infected PC. Unlock PC blocked by a Trojan. Alerts for malicious websites & web link reputation. Identity and financial protection against phishing sites or emails. Special Gamer Mode for uninterrupted gaming experience. 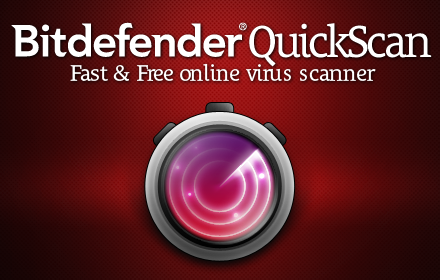 Bitdefender QuickScan is an online tool which uses .in-the-cloud. 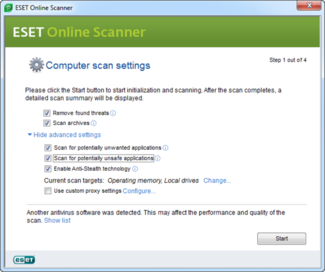 scanning to detect malware running on a PC very fast, usually in less than 60 seconds. HouseCall can quickly identify and fix a wide range of threats including viruses, worms, Trojans, and spyware. Includes: Full scan and custom scan options, in addition to Quick Scan. Support for 64-bit, Windows 7, Windows 7 SP1, Windows 8, and Windows 8.1. Support for Mac OS 10.7 or later. The Panda ActiveScan 2.0 is an advanced online scanner based on Collective Intelligence that detects malware infection that traditional security solutions fail to detect. 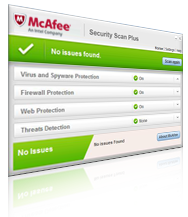 F-Secure Online Scanner helps to get rid of viruses and spyware that may cause problems on your PC, and all of it for free.